Marietta College’s Nick O’Neal (34) carries the ball during a game against Ohio Northern Saturday at Don Drumm Stadium. Photo courtesy of Knobel Photography. 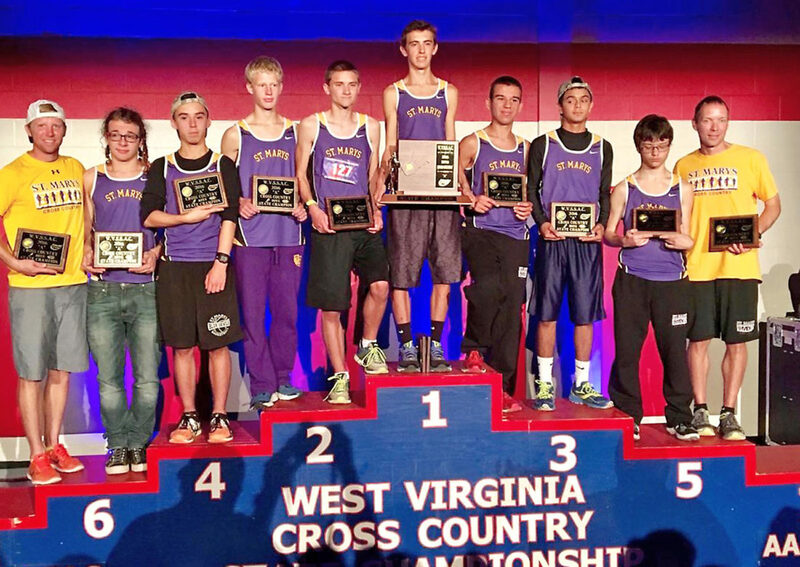 The St. Marys boys of first-year head coach Steven Nutter claimed the first Class A state cross country title in West Virginia history on Saturday at Cabell Midland. Parkersburg’s Ellie Dario, left, and Madison Trippett earned Class AAA all-state honors during Saturday’s state cross country meet at Cabell Midland. ONA — The West Virginia state cross country championships here Saturday at Cabell Midland provided the ultimate in both elation and heartbreak for the Mid-Ohio Valley. 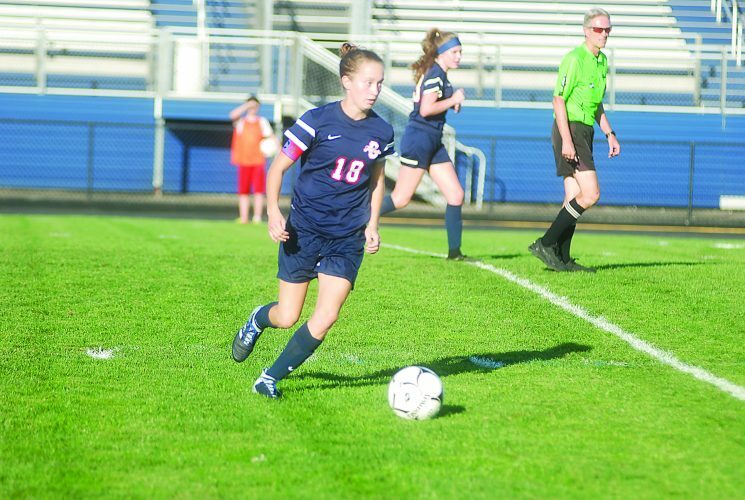 For the first time in state history, Class A teams were recognized and the Little Kanawha Conference stood out as the St. Marys boys and the Doddridge County girls claimed championships while running in the Class AA/A division. Parkersburg’s boys finished third with a score of 121 behind Class AAA state champion Morgantown (45) and runner-up Cabell Midland (100). The Big Red girls, who had would-be state runner-up Olivia Collett not finish the race, placed fourth. University (45) topped Morgantown (62) for the title. 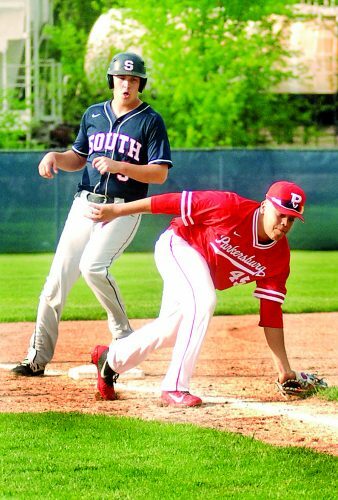 “It’s a shame,” PHS head coach Larry Games said of Collett, the two-time defending Mountain State Athletic Conference champion. “She was in second place with about 600 meters to go and was going to end up second and she collapsed. It happens. 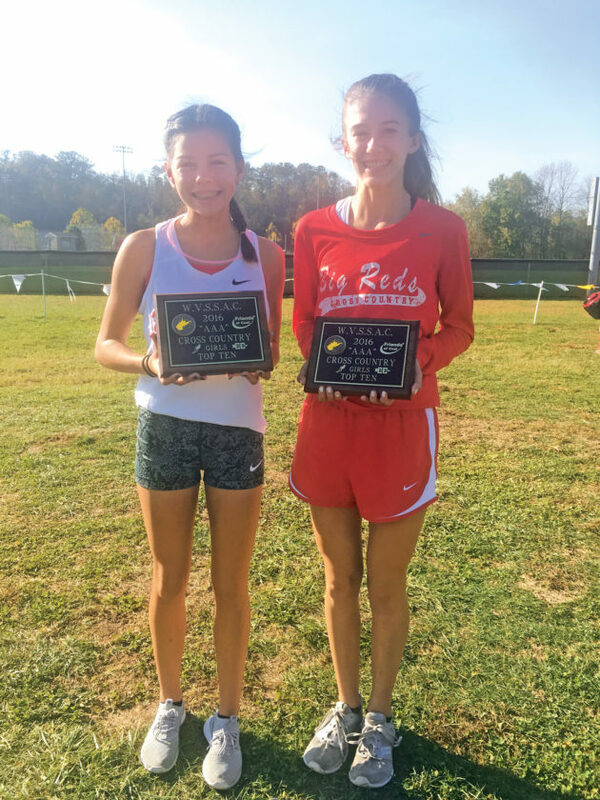 Although Collett was unable to finish, the Big Reds did have a pair of top 10 all-state runners thanks to Madison Trippett and Ellie Dario. Trippett finished third overall with a time of 19 minutes and 28 seconds. Dario was fifth and 41 ticks off the pace of Hampshire state champion Hannah Lipps’ time of 19:07. “Those two ran really well,” Games added. “We would’ve had three all-staters, but we had two. Even with Olivia when she went out we still got fourth and weren’t too far from third. It’s just amazing. St. Marys head coach Steven Nutter watched Walker Hashman grab the final all-state spot in 10th place with a time of 16:57. Brady Gorrell (14th), Spencer Wren (21st), Jayden Wolfe (47th) and Devon Amos (75th) contributed to the team scoring for the Blue Devils. “Blessed is the word,” Nutter responded when asked about the magical day. “Blessed to be able to come home and coach such awesome kids and blessed to have the support of the community and parents all year. I mean it was a team effort and it was an amazing day to be a part of. The St. Marys boys finished fifth overall in Class AA/A with 123 points, which was more than enough to best runner-up Doddridge County (172). Bridgeport (69) knocked off Berkeley Springs (100) to win the team title and Nicholas County’s Jackson Reed (16:06) was the individual champ. Bulldogs Hunter Riffle and Trey Heaster finished eighth and ninth, respectively, for head man Craig Kellar with times of 16 minutes and 44 seconds to grab all-state accolades. “Hunter just edged Trey out there. 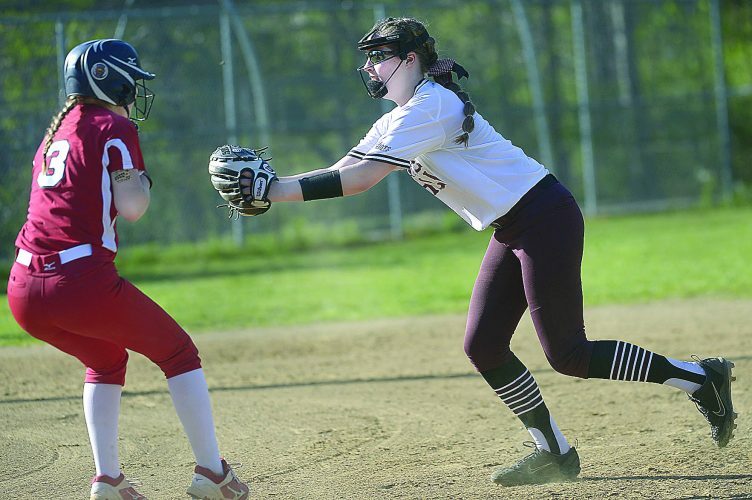 They were the number one and number two individuals in single-A and Hashman was third,” Kellar said. “We had fire trucks and everything. We spent probably about an hour touring the town and we had a little meeting at the football field before we went home. Indeed that was the case as the DCHS girls, led by all-stater Desirae Schoonover (7th, 19:46), topped the Class A field with 194 points. 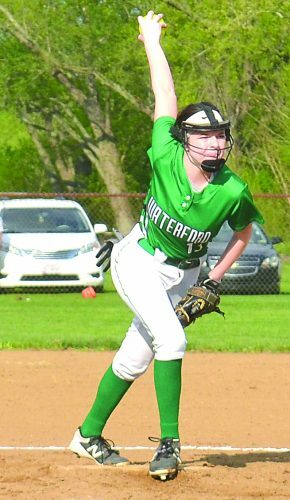 Charleston Catholic was runner-up with 254 points and Huntington St. Joe’s Makenzie Moran bested the field with a time of 19 minutes and seven seconds. Philip Barbour (83) finished ahead of Fairmont Senior (99) for the Class AA/A girls crown. Schoonover was followed by Bulldog teammates Sydney Keith (35th), Megan Carder (52nd), Kendra Garvin (82nd) and Natasha Cox (84th). Also scoring for the DCHS boys were Adam Bee (65th), Gage Smith (76th) and Brandon Clevenger (89th). Blake Jarrell of Ravenswood got the best of twin brother Bryce by finishing in 17 minutes and 12 seconds, which was good for 13th. Bryce Jarrell was eight seconds slower and finished 17th. Williamstown was led by 19th-place finisher Ethan Beck (17:25). The top finisher for the Yellowjacket girls was Kasey McNamara (37th). Magnolia senior Jordan Delaney ended her career by placing 18th. Parkersburg’s boys had a top finish of 14th from Will Lemaster while red and white teammates Ian Domenick (20th) and Benjamin Lake (25th) cracked the top 25. 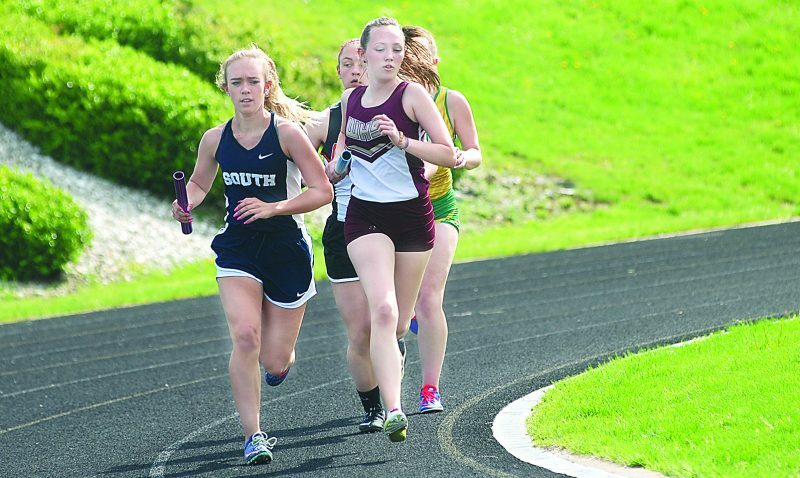 Parkersburg South’s Abby Herring, an all-stater a year ago, finished 38th. LKC boys champion Seth Backus’ time of 16 minutes and 26 seconds was good for third and earned the senior all-state status.